One of my top priorities for my home is for it to be a place of beauty. Notice I didn’t say I want my home to be perfect. Also, I really don’t care for it to be expensive. Beauty is something altogether different. I’ve yet to meet a woman who wants her home to be ugly. Enjoying beautiful things is part of being human. It is how God made us. Isn’t home the safest place to begin coming alive to the creativity we all possess? What’s the goal of your home? Maybe just for yourself or your family you could have a phrase that states the ultimate purpose of your home. Most of us have made goals for our lives and jobs and financial future, so why not for our houses or apartments, the places where we spend the majority of our lives? The goal for our home is to be a place to connect with others, foster rest, inspire, and be a welcoming place to come back to. So even when my house is messy, I can see that my house is still meeting its true purpose. Wow! What a shift in my thoughts about my home. Suddenly, instead of focusing on what it isn’t, I can focus on what it is. Each season in our lives requires different services from our homes. If something isn’t working for you, reevaluate. Right now, my husband is homeschooling our boys, and I run a business out of our home. Because of how we need our home to serve us, we changed an empty bonus room into a family room so we’d have a place for the menfolk to spread out books and dirty socks, and a quiet place for me to work and take pictures and create. 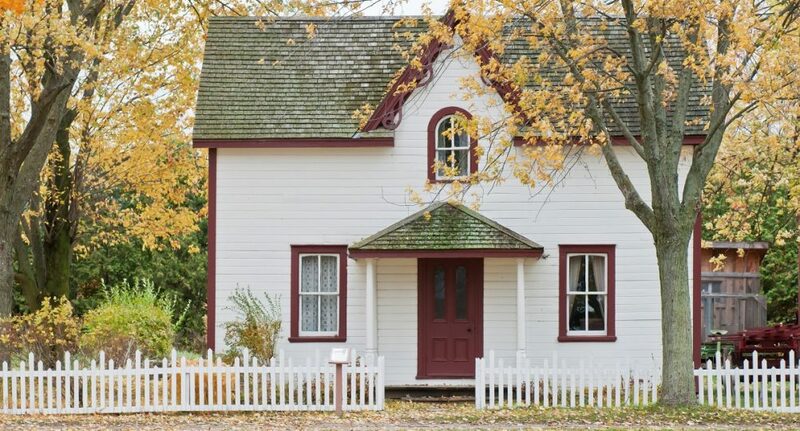 A home’s greatest purpose is to serve people, not the other way around. If I want my home to be a place of connection, I’ll ask genuine questions and get to know the people in my home. I’ll prioritize goodconversation and be sure I have adequate, comfortable seating so people will stick around. If I want my home to be a safe place to make mistakes, I’ll lower my standards for myself first, be forgiving of my own mistakes, and allow others to see me laughing at myself. I’ll display and use the imperfect in my home. That spelling test where he made a C but did his best? On the fridge. The frame with the broken glass? Put it on the wall; it still looks great. The leather chair with the rips? It’s loved and used daily. I don’t point out and apologize for those imperfections. I embrace, love, and enjoy them. If I want my home to be inspiring, I’ll pay attention to what inspires me. I’ll collect inspiring mementos and show them off unashamed, regardless of the trends. If I want my home to be real, I’ll learn to embrace the imperfect, find the beauty in the undone, the haphazard, the unkempt, the everydayness, and the mess. I’ll find the beauty in what is. I’ll accept that the messes unique to my home are a sign of a full and beautiful season of life. If I want my home to be comfortable, I’ll stop apologizing and focus on others instead of on myself by creating a home that serves people, not a place where people serve and protect our fancy stuff. If I want my home to be a place of rest, I’ll consider my attitude and the tone I set when I am home. I’ll practice resting in the midst of the undone, even if that means letting the dirty dishes sit so I can laugh with a friend who stopped by. If I want my home to be joyful, I’ll surround myself with people and places and memories that remind me of good times. I’ll remove items that bring back sad memories or that I dislike and surround myself with items that bring me joy. If I want my home to be a place of contentment, I’ll practice gratitude in my home. I’ll say out loud things in my home that I’m thankful for instead of dwelling on what I think is missing. Taken from The Nesting Place by Myquillyn Smith. Copyright © 2014 by Myquillyn Smith. Used by permission of Zondervan. www.zondervan.com. For the last 10 years, Myquillyn Smith, known online as “The Nester,” has encouraged women to embrace their homes – imperfections and all. 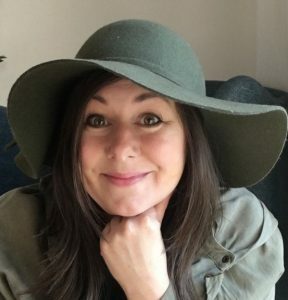 She is the author of The Nesting Place: It Doesn’t Have to be Perfect to Be Beautiful and You can find her online at http://thenester.com/. 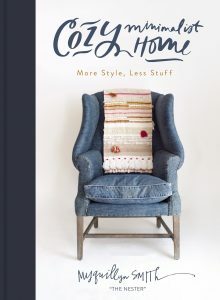 Her new book, Cozy Minimalist Home: More Style, Less Stuff releases in October 2018 and is available for preorder.